Well, hello there, Today… I wanted to analyze this FREE technique here and show you how you can apply it to YOUR business online. Setting up an e-Mail course is fairly easy. All you need is an Auto-Responder, There are some free stand alone ones out there eg. Sendfree, Listwire,… or ones that you can pay a bundle for eg. Getresponse, Aweber e.t.c depending on the bells and whistles you want. Basically all an auto-responder does is automatically send e-mails to someone. It is very hands off for you. Someone simply enters some basic info including their e-mail and you do nothing. The auto-responder sends them e-mails over a predetermined length of time. You could send them daily, weekly, monthly, quarterly, yearly… very flexible. Then you just create a simple course, Gift, Information or whatever…In this case, you can actually send an e-mail with a link to a web page with a download link for the gifts or files. So you can go that route as well. 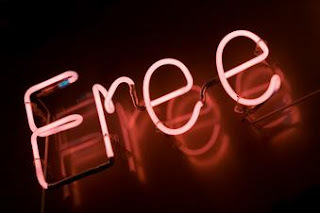 Now… giving a Great course away for free! Why? Because of a larger, more comprehensive product that one want to promote with it. You get free information. In doing so thereby developing a good relationship, exposing expertise and building trust. Then that simply leads you to the other products. You can do the same thing. There are a lot of free informational products online. Many of them are designed to give you some good information, but also to lead you to another product. So that’s something to think about for you. This is something called Viral Marketing. Someone designs this simple information product and then hopes you will spread the word or the product itself to more and more people. AND you will if it is good. It is good. I’m giving him free press because I know it is and know it can help YOU. Some of the most successful marketers online use the same exact pattern each time they develop a product. Give something away for free, then lead them to a product that costs a little… that product leads them to a pricier product… and that product to an even more expensive product. For example: Free eCourse, then $49 Info Product, then $300 CD Package, then $1500 Coaching Package. One builds on the other. Will everyone end up with the Coaching. No, of course not. But some will be led there. By the time they learn about the coaching they are already sold that this person is worth listening to. I hope this helps!Good Luck Today with Your Endeavors!